Bulgaria is one of the biggest rose-oil producers in the world and a country that has been closely related to the beautiful flower for centuries. The Rose Valley is the area where the biggest rose plantations and the main rose-oil facilities are located. Every year in June, a month-long Rose Festival takes place there, one of the best times for nature and culture lovers to visit Bulgaria. For centuries, the Rose Valley has been a rose-growing area of great importance. 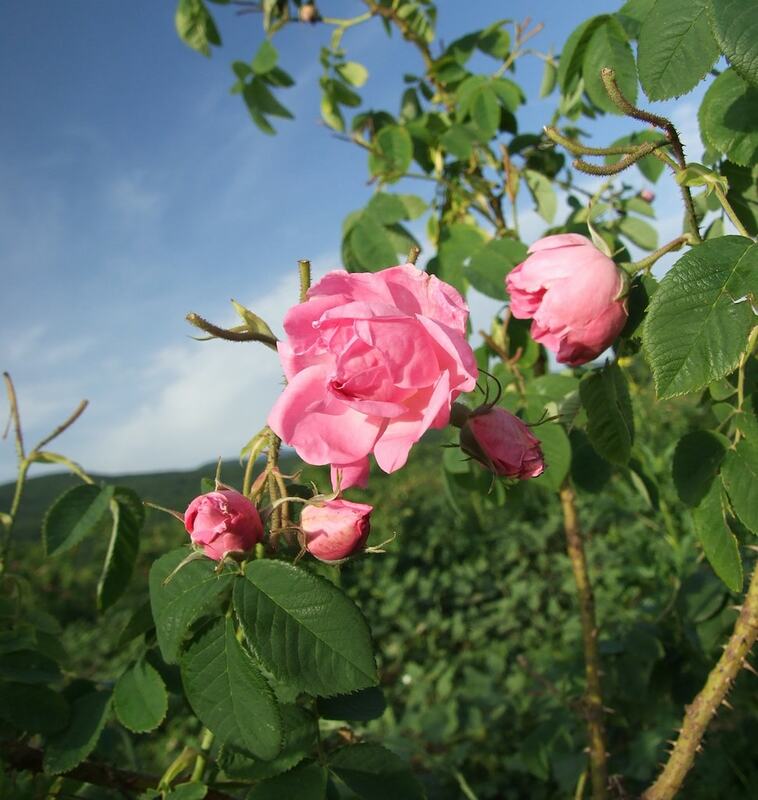 The rose oil produced from the special variety Rosa Damascena was used for women’s beauty products and perfumes. Today, the rose is one of the symbols of Bulgaria and attracts visitors from all over the world, especially from Japan where the rose is also culturally important. Definitely, the best time to observe the rose-picking process and to see the rose fields is from the end of May to the end of June. Usually, the Rose Festival takes place across four weekends in June with rose picking rituals crafted for tourists taking place in a different village every weekend. At these early-morning events, you can actually join the rose-picking process yourself. This is when you can visit a rose essential-oil distillery and see the process that follows after the blossoms have been collected. This one-day tour will take you from a Rose Complex and ancient Thracian tombs to the Freedom Monument on top of the mountain. Indulge in a wine tasting of two of the local Bulgarian varietals, Misket from Karlovo and Dimyat. Then have lunch at a rose field where you will learn all about the Bulgarian rose. This tour combines a visit to a rose-oil distillery and a visit to one of the most famed communist relics in Bulgaria—the house-monument of the Bulgarian Communist Party, Buzludzha. The crumbling imposing building stands in stark contrast to the sleepy flower fields below. The main stops in the Rose Valley are Kazanlak and Karlovo, with Strelcha, Pavel Banya, and Gurkovo being other rose-producing towns but with fewer or no other attractions for the visitors. All of these towns are easily (and cheaply) accessible by train from Sofia and Plovdiv (check the schedules on the website of the Bulgarian State Railways) or by bus. If you want to visit the valley as a day trip, it’s better to start off early in the morning because the trip takes three hours. The best option is to plan an overnight in Kazanlak or Karlovo to have more time to explore. A bottle of Bulgarian rose water is one of the best souvenirs you can take home from the valley. It is a perfect face cleansing product containing only natural ingredients. The rose oil can be used as a perfume, or you can add it to your other cosmetic products if you like its aroma.